Lanber sporter 12 gauge. Since owning this gun it has been serviced by a registered gunsmith. 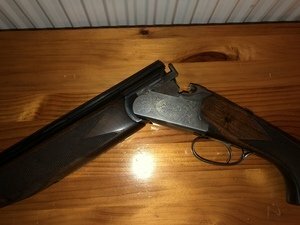 It has had a new firing pin fitted to the top barrel and new cocking springs fitted. Ideal starter or field gun. It is multi choked and comes with spare chokes and choke key.